Please complete the application form for registration as completely and correctly as possible to enable us to process your registration properly. Please also make sure the address submitted (physical and email) is that of the actual participant/exam attendee. Otherwise important notifications/certifications and information will get lost, as we had to experience in the past. You will get a confirmation email with your personal barcode for checking in on-site after successfully completing the registration. Please make sure you have read our Terms & Conditions. In addition, please choose below from the exam options. Please double-click radio button to uncheck in case of error. 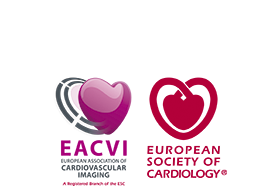 ** 'Member' refers to current membership in the CMR Section EACVI - formerly Working Group on Cardiovascular Magnetic Resonance of the ESC. 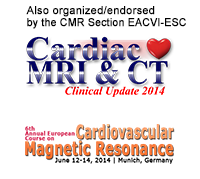 Not yet a member of the CMR Section of the EACVI? Find out about all the member benefits and make sure you join here today! NOTE: On-Site credit card payment is subject to a € 15 surcharge!